I've been to Singapore twice already and I can say that my experience is one for the books. Singapore is the first international country I've visited ten years ago and would love to visit for the third time. 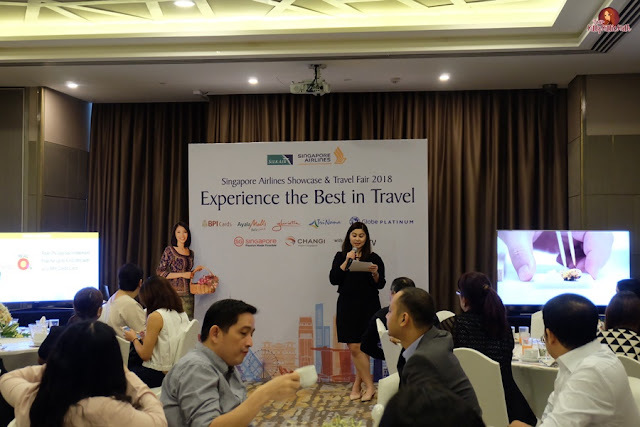 This month, Singapore Airlines is kicking the new year with the 5th installment of its Showcase and Travel Fair. 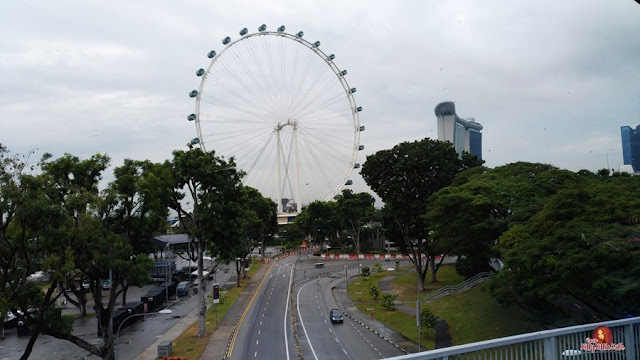 If you're itching to visit Singapore this year, now is the time to plan your tour. Together with SilkAir, Singapore Airlines regional wing, and partnership with BPI, Ayala Malls, Globe Platinum, Singapore Tourism Board, and Changi Airport Group, they are bringing a bigger and better travel fair this year in two different venues. Exciting!!! Know more about the Singapore Airlines Showcase and Travel Fair 2018 below. 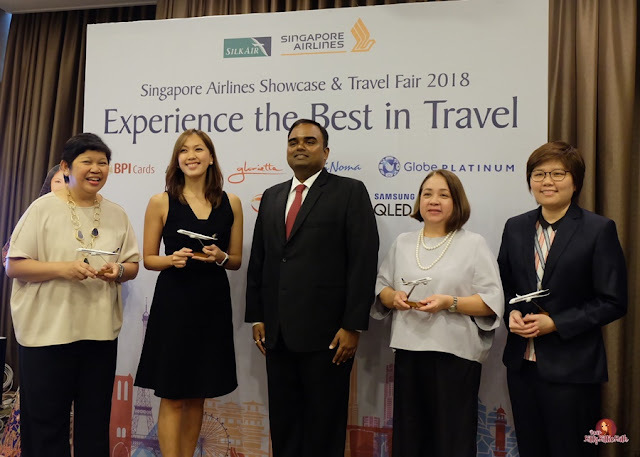 "Experience the best in Travel"
This year's theme is underlining Singapore Airline Group's unparalleled position as an industry leader with outstanding products offerings, award-winning service, and extensive global network. Now is the time to indulge in a holistic travel experience with their special fare deals and great offers. You can avail of their all-in round-trip promotional fares at the Singapore Airlines Showcase and Travel Fair this coming 26 - 28 January 2018 at Glorietta 2 Activity Center and TriNoma Activity Center. SIA General Manager Philippines Balagopal Kunduvara said that 70th anniversary year has been a massive success for the airline with a host of milestones, most notably the recent rollout of its new Airbus A320 cabin products. The showcase and travel fair is a simple way for them to express their gratitude for the overwhelming support they have received over the recent years. 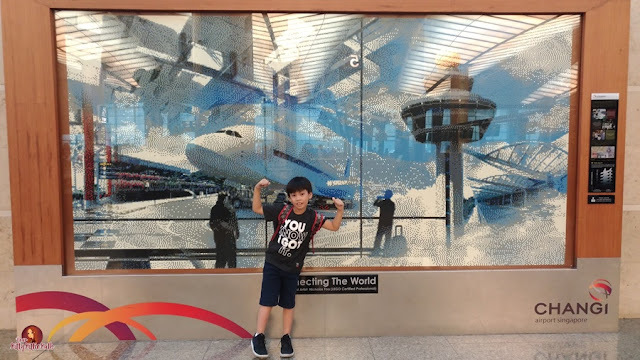 My second trip to Singapore was last March 22 and I have a kid in tow. 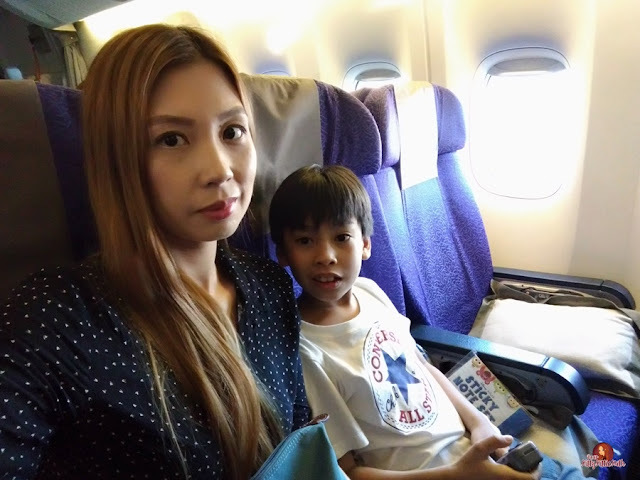 It's his first time to ride an airplane and our client have chosen Singapore Airlines. My son's first ride was a bliss. He liked Singapore Airlines so much. We are in Economy class but felt like more than we expected. He said that if ever we'll be traveling again this year, his choice will always be Singapore Airlines. Choose from 84 destinations from at exceptional rates that come with free baggage allowance, delectable in-flight meals, a wide variety of in-flight entertainment, and accruable KrisFlyer Miles. Enjoy the all-inclusive round-trip Economy Class fares to Singapore from 150 USD and other Asian destinations starting from USD220. Fares to Australia start from USD540, while key destinations in Europe start at just USD700. If you're looking for extra comfort during your flight, Singapore Airlines newest cabin offering is the Premium Economy Class. All-in fares to Asian destinations are available from USD970, USD1020 to Australia, USD1400 to Europe, USD1550 to South Africa, USD1550 to New Zealand, and USD 1900 to the United States. More discerning customers who want to travel in luxury and style can avail of the exceptional all-in Business Class fares. Starting at USD 690 all-in round-trip, passengers can fly Business Class to various Southeast Asian destinations, to South Africa from USD1900 and to Australia from USD1980. Discounted fares to Europe start from just USD2370 and New Zealand and the United States from USD 2400. All promotional fares are exclusive to KrisFlyer members, BPI credit card and prepaid cardholders, Globe Platinum customers, as well as Glorietta, TriNoma, and Ayala Center Cebu shoppers. Real 0% Installment Plan for up to 6 months for BPI credit cardholders. 500 KrisFlyer Bonus Miles on select destinations. 25% off on select Sentosa Singapore attractions. SGD60 Changi Gift Card for every two tickets booked to select destinations beyond Singapore which can be redeemed at participating shops and restaurants at the Singapore Changi Airport. A complimentary SGD20 Changi Dollar Voucher for all itineraries beyond Singapore. Glorietta and TriNoma shoppers mall shoppers can earn a chance to win 50,000 KrisFlyer Miles, which is equivalent to two (2) Economy Class round-trip tickets to Singapore. you may also call SIA Manila Reservations at 756-8888, SilkAir Cebu at 6332-5057817, SilkAir Davao at 6382-2275301, SilkAir Kalibo at 6336-5007226.